extra luggage or extra people. Even with the rear seats upright, you can hold up to 38.4 cubic feet worth of gear! If you decide you need more room for something like a surfboard for when you stop by all those coastal beach towns, you can easily fold the back seats down in just seconds. 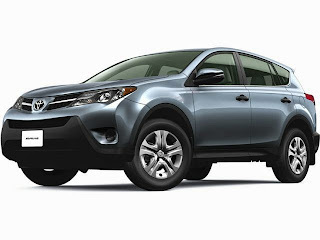 Highlander - Perfect SUV for going on a road trip with a large group of people. This SUV holds up to 8 people. Depending on the model, you can get the ultimate night driving experience with its panoramic moon roof. As far as safety is concerned, the Highlander is fully equipped to protect you and all passengers. The advanced airbag system in a Highlander protects both driver and passenger and its start safety system contains six safety features that should make you feel secure while driving. Landcruiser - The name itself is emblematic of the perfect road trip. Craving to go off-roading on your road trip adventure? You’ve picked the perfect vehicle. This SUV is able to handle whatever terrain you come across, no matter if it’s sand, gravel or mud. It has a 4 wheel anti-lock brake system that can adapt to any surface as well as a multi-terrain monitor that allows you to check the front, rear, and side views of your surroundings. As you can see, there are plenty of SUVs to choose from for your Spring break road trip. Stop by our car dealership in NJ and seek out further information on which Toyota best fits your needs!